On this date in 1948, Polish resistance hero Witold Pilecki was shot by Poland’s Communist government for a variety of subversions. Witold Pilecki as an officer (top), imprisoned in Auschwitz (middle), and at his fatal trial (bottom). A former cavalry officer turned Home Army figure,* Pilecki authored one of the Great War’s most daring (and oddly obscure) covert escapades. In 1940, he volunteered to infiltrate Auschwitz — whose operations were then largely opaque to the Polish resistance — and allowed himself to be rounded up by the Gestapo. 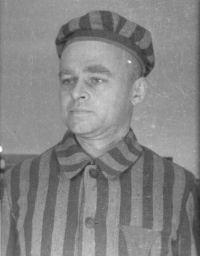 Pilecki spent 31 months in the notorious concentration camp, organizing an inmate resistance network and shipping intelligence about the camp’s operations to the Polish resistance and (through them) the western Allies. 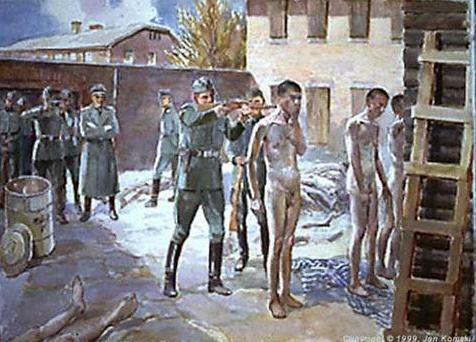 Though his pleas for a raid to liberate Auschwitz were in vain, Pilecki’s report catalogued the today-familiar horrors of the camp. One bit, as it turned out, was a bit of foreshadowing. Pilecki escaped Auschwitz in 1943, rejoined the Home Army, and had the good fortune to wind up in Italy at war’s end. Instead of retiring to write his memoirs, he slipped back into Poland to spy on the postwar Communist government … but the man who had lived through Nazi internment couldn’t pull the same trick on the reds, who were in the process of rooting out anti-Communist resistance elements. 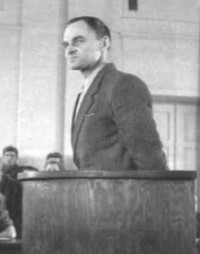 Polish Prime Minister (and fellow Auschwitz survivor) Jozef Cyrankiewicz provided testimony against Pilecki in his show trial (Polish link) on espionage and arms charges. Pilecki was executed May 25, 1948, at Warsaw’s Mokotow Prison just as he had seen so many killed at the Black Wall — with a single shot to the back of the head. 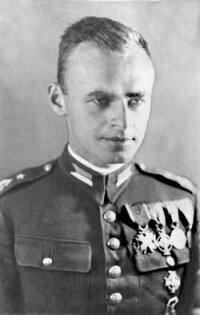 * Pilecki co-founded an early resistance organization, the Secret Polish Army (Tajna Armia Polska, or TAP), subsequently absorbed by the Home Army. ** Gerhard Palitsch — or Palitzsch — was a notorious SS roll-call man thought to have personally executed some 20,000 people in the manner described by Pilecki. He was not for the ovens or the Nuremberg trials, however, and instead found himself mustered to the eastern front, eventually dying in action against the Red Army in Hungary. This page (in Polish) assembles various inmate recollections of Gerhard Palitsch. † As the translation in the cited source is a tad uneven, I’ve taken the liberty of cleaning it up a bit.